During the summer months I will give some little beauty tips. Every thursday a new tip will go up. This weeks tip is about mascara. It’s an essential item in your beauty stack. I guess that almost every woman uses a mascara. And of course there are some different types regarding their use. Also each type of brush has it’s own purpose. When you are searching for one that curls your lashes more, you need a brush in the shape of a half moon. A thick straight brush makes sure you have more full lashes. A brush with shorter hairs separates your lashes perfectly. 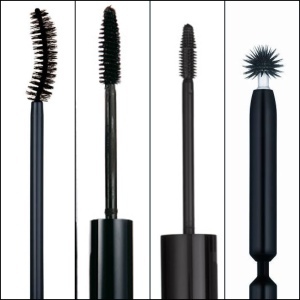 And a brush with a round tip pushes your lashes up and gives your lashes more curling and volume. Come back next week for more beauty tips! This entry was posted in beauty and tagged beauty, mascara, tips by missnathaliexo. Bookmark the permalink. Great post…I love the 3 one..